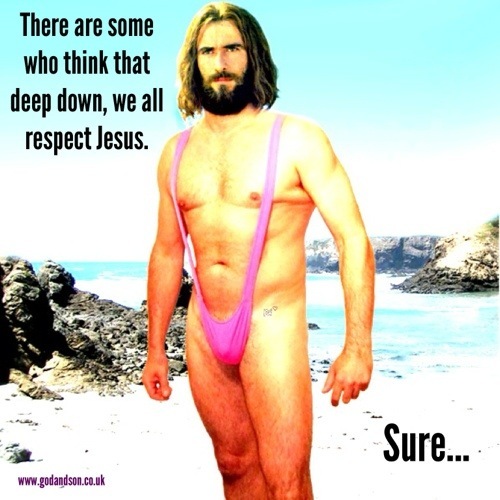 I respect the imaginary trouble maker enough to put him in a pink mankini. And that chills the devout. They just can’t comprehend it. That’s what good brainwashing does to people. Perhaps it’s the opposite deep deep down believers know it’s a a con.